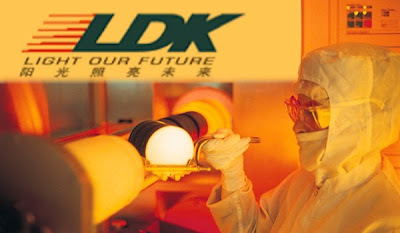 LDK sells 15% of their polysilicon plant for $219 million to give the 22 million shares shorted another snakebite! The stock, at 7 1/2, can still run on this news. XINYU CITY, China and SUNNYVALE, Calif., Nov. 17 /PRNewswire-FirstCall/ -- LDK Solar Co., Ltd. (NYSE: LDK), a leading manufacturer of multicrystalline solar wafers, today announced that it has entered into an agreement to sell a 15% ownership stake in its 15,000 metric ton (MT) annualized capacity polysilicon plant in Xinyu City, China. Jiangxi International Trust and Investment Co., Ltd. has agreed to purchase this interest for approximately RMB1.5 billion (equivalent to approximately US$219 million).